Here at LeagueApps, we’re driven by a mission to facilitate amazing sports experiences for kids across the country. 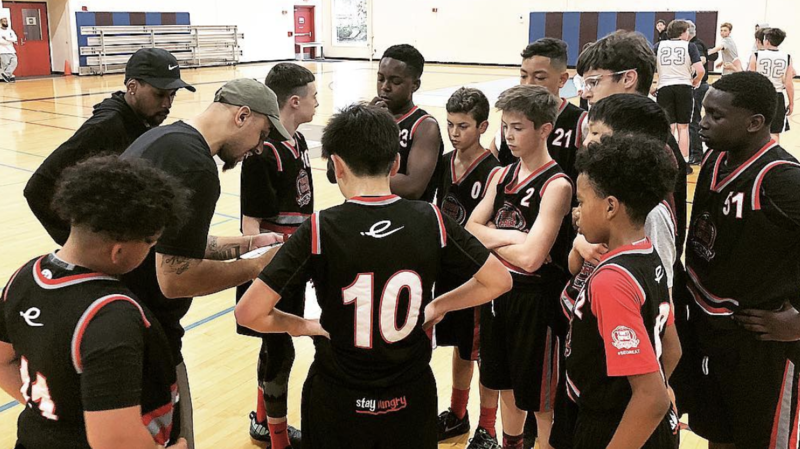 We work with the most enterprising organizers and experts across youth and local sports, and advise professional teams and leagues on how to best leverage their resources and expertise to help shape the future of youth sports. Today, we’re proud to feature a guest blog from Kip O’Rourke-Brown on the topic of Sports-Based Youth Development (SBYD). O’Rourke-Brown, who received his Master’s degree in Educational Leadership from NYU in 2014, designed, launched, and directed a new and comprehensive after-school program, the Sports Leadership Academy (SLA) under the umbrella of Play Rugby USA. A noted expert in the field of SBYD, O’Rourke-Brown not only lays out the benefits of this emerging field but also delivers action items for organizers hoping to utilize this development strategy within their own organizations. As a parent, kid, coach, organizer it’s easy to recall the ways participating in sports can be a rewarding and fulfilling experience. It can also be heartbreaking and frustrating. The frustration and fulfillment at the opposite ends of an emotional roller coaster are precisely why sports capture the imagination, and attention of communities across the United States. Unfortunately, the connection to how this roller coaster can help young kids navigate school, family, and other crucial areas of their life, is not always completed. The social-emotional learning that can occur through the sports experience can be overshadowed and sometimes neglected. These connections can be leveraged and the learning opportunities can become invaluable contributions to the young person’s growth. Look no further than the late great John Wooden. John Wooden's Pyramid of Success. Harnessing the appeal of sports and its ability to engage people in a meaningful experience for growth is an opportunity that an emerging field, called Sports-Based Youth Development (SBYD), is focused on accessing and leveraging to benefit young people. There are organizations around the country bringing awareness to the process of using sports as a tool to develop young people. Foundations and capacity building organizations, like, Up2Us Sports, Laureus Sports for Good Foundation, and Vita are building awareness and contributing resources to this fledgling field. There are also play and sport initiatives that are guiding alignment, such as the Positive Coaching Alliance and the Aspen Institute’s Project Play. There are also many small to medium size consultancies which specialize in supporting the field. These entities form a constellation of resources and best practices for the practitioners of sports-based youth development, that are delivering programs in communities all across the country. Having been immersed as a senior program staff for eight years at a national SBYD organization, I think there are tremendous opportunities to ensure sports help young people grow. Below are three ideas to promote growth in your young people. This is an obvious place to start, and you may be thinking, my coaches are always ‘coaching’ the kids. On the field, on the sideline. But, what about before practice, and/or after practice. Is sport the only topic covered? This attention to building rapport with young people can sometimes be overshadowed by the desire to build a coach-player relationship. Don’t neglect building a bond. This requires time, and energy to achieve. Ensuring there’s an expectation that coaches build a relationship with their players can be a crucial and overlooked first step. The next step is to make time. Ensuring there are down times for informal conversations is imperative. If you show up and begin practice right away or have conferences with other coaches during water breaks, these are missed opportunities. Attend to this as practices and games are planned. Building sport skills is so important. So, make sure your sessions are full of skill building. However, drills are not the only tool for this. Use games to identify skills that need to be honed and then you can do drills to focus on those skills. Also, you can design games to build skills. Don’t just take my word, here are the pros leading by example (Celtics’ Towel Tag). There is an entire pedagogical approach to this, Game Sense or Teaching Games for Understanding. Being comfortable playing games with purpose is an essential part of engaging your players. In sports, learning from mistakes is important and opportunities to do so are abound. An accompanying skill is learning how to recover and respond to mistakes. Regardless if these skills are viewed as separate, the crucial point here is to develop language for your team or league to accelerate moving past the mistake. This is not about glossing over error, or framing mistakes as ‘acceptable’, it’s about facilitating the process of rebounding. Mistakes are an inevitable part of performing, are opportunities to learn and should not obstruct future performance. Language can help this come to life. (Types of Mistakes Matter and PCA Dev Zone). This piece was written by a member of the LeagueApps Sports Content Council. LeagueApps works with the highest calibre of independent journalists and industry experts in the country. No pressure, no commitments. One of our talented, passionate sales coaches will walk you through LeagueApps. From creating an account, to setting up payments, and launching a program, we’ll show you how much LeagueApps can offer you.